(INDIANAPOLIS) - Indiana's unemployment rate stands at 3.5 percent for January and remains lower than the national rate of 4.0 percent. With the exception of one month when it was equal (October 2014), Indiana's unemployment rate now has been below the U.S. rate for more than five years. The monthly unemployment rate is a U.S. Bureau of Labor Statistics (BLS) indicator that reflects the number of unemployed people seeking employment within the prior four weeks as a percentage of the labor force. 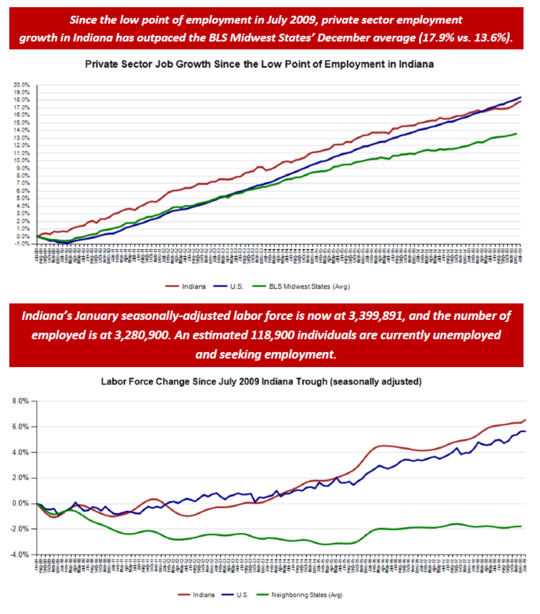 Indiana's labor force had a net increase of 7,613 over the previous month. This was a result of an increase of 1,556 unemployed residents and an increase of 6,057 employed residents. Indiana's total labor force, which includes both Hoosiers employed and those seeking employment, stands at 3.39 million, and the state's 65.1 percent labor force participation rate remains above the national rate of 63.2 percent. 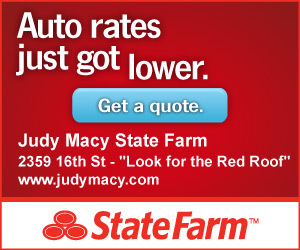 Learn more about how unemployment rates are calculated here. Private sector employment has grown by 35,200 over the year and 7,200 over the previous month. The monthly increase is primarily due to gains in the Private Educational and Health Services (3,100) and the Trade, Transportation, and Utilities (3,000) sectors. Gains were partially offset by a loss in the Professional and Business Services (-1,700) sector. Total private employment reached a preliminary record highpoint of 2,739,300, which is 7,200 above the new December 2018 peak. The January 2019 peak, like all data within this report, is subject to monthly revisions and annual benchmarking. Note: The December 2018 unemployment rates were revised during the annual benchmarking process.